What is the Dr. Atkins Low Carb Diet Plan? The Dr. Atkins Low Carb diet plan is often misunderstood. You may think it is a “fast fix” – a way to lose lots of weight quickly and nothing more. But the Dr. Atkins low carb diet plan was designed with two things in mind – first weight loss, then healthy weight maintenance. You may think of Atkins as a low carb, high fat diet that you have to stay on very strictly for a long period of time. There are a few problems with this description, including the “high fat” label and the lengthy stay on a very restrictive diet. Jump-Start Your Metabolism - The Atkins Diet is meant to jump-start your own metabolism by changing the types of food you eat without letting you feel deprived. 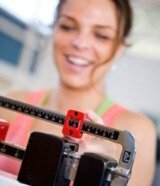 It isn’t meant to be an exercise in calorie-counting, so you don’t keep track of calories. In fact, you can eat more calories on Atkins than on other diets and still lose weight because of the kind of calories you eat! Proteins are Essential - Eating lots of lean meat and protein is essential, and gives you plenty of energy and nutrients. Variety is built in because you can eat nearly every kind of meat/protein food you want – poultry, beef, pork, eggs and even seafood such as shellfish and salmon. Vegetables are Important - Plenty of vegetables that are nutrient-dense and fiber rich are central to the success of the program. The Four Phases of the Atkins Diet - There are four phases to the Dr. Atkins Diet low carb diet plan so that you are always “moving forward.” It helps prevent you from burning out and gives you easy steps from losing those initial pounds to maintaining a healthy eating lifestyle for good. Exercise & Taking Supplements - Exercise and taking nutritional supplements are very important. The Atkins program advocates moderate exercise every day during all phases of the program. This can be as simple as a twenty minute walk around your neighborhood. A simple multi-vitamin supplement can ensure that you aren’t missing any of the vital nutrients you need to stay healthy. The reason Dr. Atkins low carb diet plan works is because Dr. Atkins discovered that by limiting carbohydrates, your body is pushed into a process called ketosis. This process doesn’t care how many calories you consume – it relies on the body’s process of dissolving body fat. During ketosis, fat breaks down into various fatty acids and ketones, which are then flushed out of the body. It is important to not only limit the carbohydrates, but be aware of when you are eating them. You should spread the carbohydrates you do eat out of the length of the day – this will prevent spikes and drops in your blood sugar levels, which in turn will help prevent cravings and curb your hunger. Fortunately, you will be able to find great guidelines for the Atkins Diet plan from a variety of sources. There are books that provide all of the food lists you need as well as Atkins Low Carb recipes. There are even Atkins Diet message boards and support groups if you want to exchange ideas. I found great low carb recipes and tips for modifying the Atkins plan once I was in the Maintenance Phase. It’s kept me with the program for over two years now, and I’ve stayed at my target weight the whole time. The Dr. Atkins low carb diet plan can do the same for you!